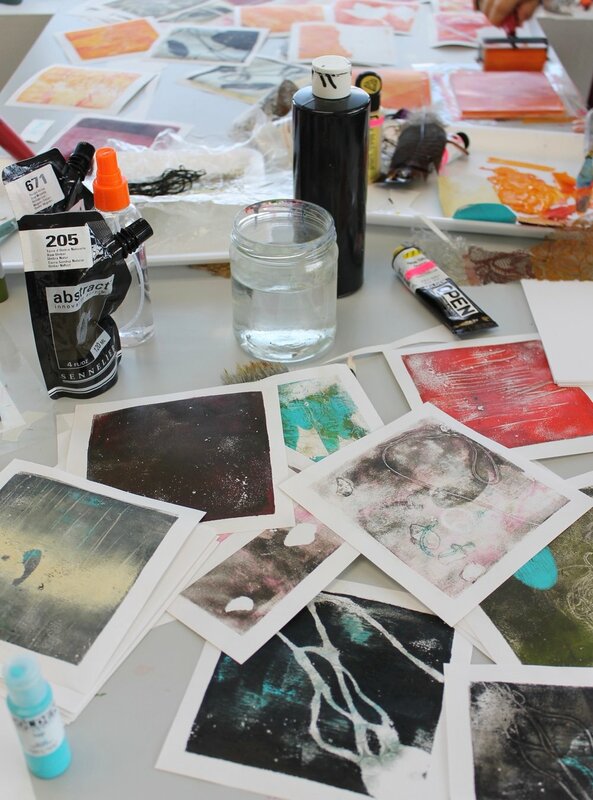 A few weeks ago we were lucky enough to have artist/printmaker Rachel Church teach a class at the studio! 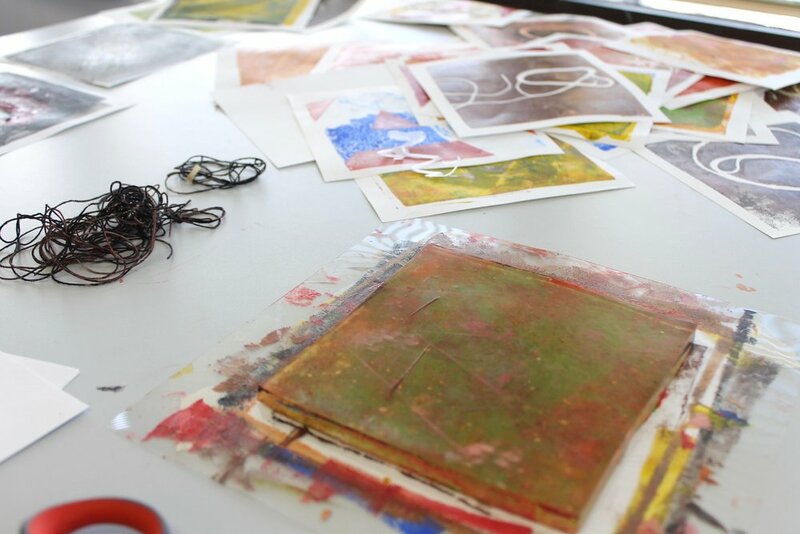 The subject was gelatin prints, and it was too much fun. The class filled up quickly so we'll be doing this one again. Below are some photos from the class. Most people attending, save for maybe 2, had never used this medium before but the work they produced was incredible!